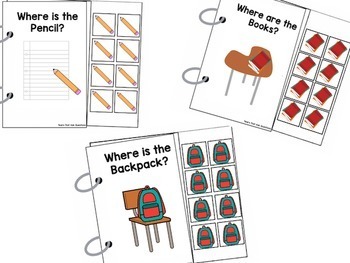 This product includes three school-themed adapted books for students to practice the following prepositions: on top of, under, next to, between, below, beside, behind, and in front of. 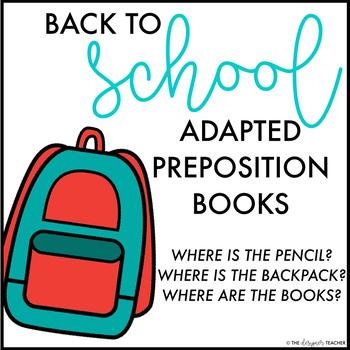 The books are, "Where is the Pencil?" 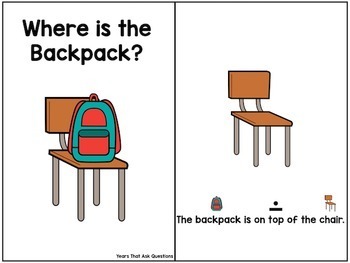 "Where is the Backpack?" and "Where are the Books?" On each page, students take a velcro pencil (or backpack or stack of books, respectively) and place it in the appropriate position in relation to the piece of paper (or desk or egg). These books make engaging practice for students working on spatial concepts. They also help build school-related vocabulary. 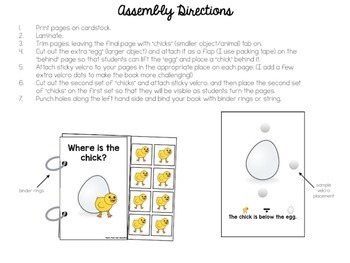 To create each book, you will need: cardstock, sticky velcro, and binder rings or string. The PDF includes assembly directions. As a special education teacher, I made sure to use a clear, easy-to-read font and to keep distractions like fancy borders, etc., to a minimum. Looking for more fall products?